We offer a global and sustainable solution to help prevent plastic pollution, by transforming previously unrecyclable plastic waste into a valuable resource. Our patented and proven technology converts end-of-life plastic waste into an optimal feedstock (TACOIL) for making clean recycled plastics (Plastic2Plastic) or alternative low-carbon fuels. PLASTIC ENERGY™s UK-based team of technology specialists have over 10 years’ experience of developing the unique, patented process called Thermal Anaerobic Conversion (TAC). 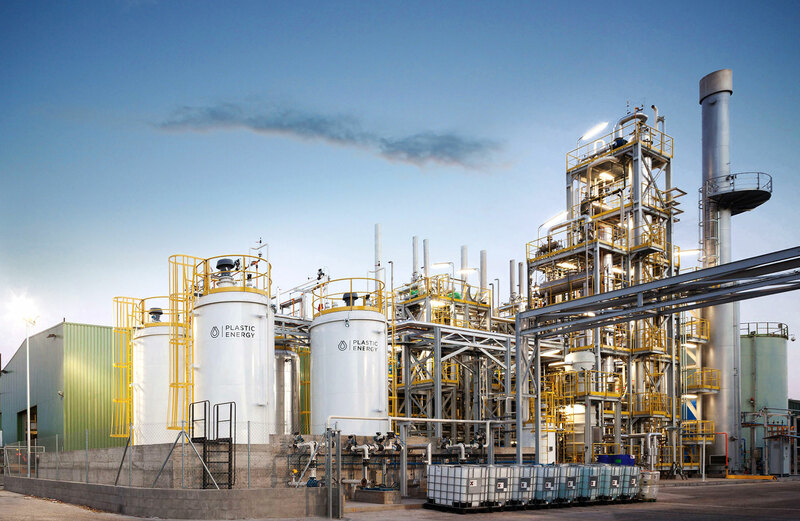 We own and operate two chemical recycling plants in Seville and Almeria (Spain) – operational since 2014 and 2017. With around 40% of all plastic being plastic packaging, only around 14% are being recycled worldwide, 14% are incinerated, 40% landfilled, and 32% leaked to our ocean. PLASTIC ENERGY™with its proven technology has a solution to recycle end-of-life plastic waste. By endlessly transforming our plastics, chemical recycling contributes to create a circular economy of plastics. The process also reduces the need for incineration, offering an environmentally friendly and profitable alternative for end-of-life plastics. By endlessly recycling previously unrecyclable plastic waste, we contribute to create a circular economy of plastics. Closing the plastic loop would dramatically improve the environment and create employment. PLASTIC ENERGY™ is committed to support the UN Sustainable Development Goals.